Sometimes it pays to go back to basics. There’s absolutely no question that the new BMW M5 is a serious piece of hardware. Almost every part of it screams absurdity—the 4.4-liter twin-turbo V8 spewing 600 horsepower, a sophisticated all-wheel drive system to compliment, and a base price that easily tops six figures once the the specs sheet gets pulled out. The problem is that the latter of those facts of M5 life is a serious impediment to anyone who’s budget falls slightly short. And by short, we mean only $10,000 short. 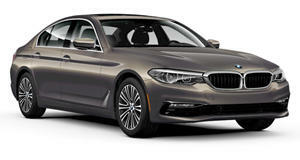 Sure, these types of people can settle of the M550i xDrive, but why not look at another alternative? It might not have the technology that the BMW does, but it does have rear-wheel drive to boast, a naturally-aspirated V8 roar, and a refreshing but luxurious back to basics approach that can make the Bimmer look overly complex at best and unnecessary at worst. Instead of getting to the nuts and bolts of each car to see which is better, why not skip all the boring parts and get to what really matters: speed. Or in this case, the ability to change speeds very quickly. 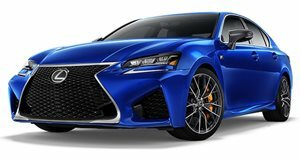 On paper, the BMW has almost everything it needs to cream the Lexus, even rear-wheel drive and turbocharged torque accessible down low enabling the heavier German to distance itself from the starting line as if it wasn’t a burden. The Lexus, on the other hand, preserves the natural feel of driving better. Based on that reason alone, many drivers would choose it if they tested the two back to back. Unfortunately, the F badge still lacks the clout of BMW's M department. Which would you have?